This is a knife that I will carry every day until I pass it to my son. Solid, functional, and well crafted. It will not disappoint. great folder. is heavy but after a while it does not matter. opens with one hand. carries great in right front pocket. gun and knife show stopper. someone trying to sell me a knife and they ask What are you carrying now? ?just pull it out and they back right down. can I see it, can I hold it. open it for me and on and on. no buyers remorse with any Spartan Blade. This is my second Spartan folder and I'm certain there will be another. Like the Pallas, I found the quality excellent. I've been carrying it since I got it. It's perfect. Really. I love everything about it. Someone told me it was an award winner. Deservedly so. In the world of quality handcrafted knives, the name William Harsey speaks for itself! Spartan Blades is proud to offer our Spartan Harsey Folder (SHF) knife in this beautiful stone washed style. This custom handcrafted folding knife is designed by William W. Harsey Jr., a prolific and highly accomplished knife maker. You simply won’t find a better folding knife out there! Our Spartan Harsey Folding Knife is built with a durable and reliable frame lock design. Rest assured that you can count on this Spartan Harsey Folding Knife to perform under demanding conditions. 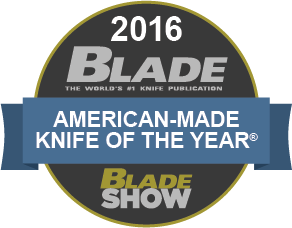 With the exception of the stop pin, pivot, and blade, this knife is made entirely of pure 6AL-4V titanium. This variation of our Spartan Harsey Folding Knife features an attractive stone washed finish. This finish lends the knife a classic look that will also stand the test of time and repeat use. With a reversible pocket clip and dual thumb studs, this precision crafted custom Harsey folding knife is perfect whether you’re right-handed or left-handed. Are you ready for the best custom folding knife available anywhere? You’ve found it here: the Spartan Harsey Folder!